The pleural effusion in my lung has covered my entire left lung. The last CT scan showed that the tumor has the probability of increasing the size, yet there are just too much fluid to tell exactly what’s going on. I start taking pre-op medications and running a few test on Tuesday. My Echocardiography Test was the most interesting when the cardiologist could barely get any visual of my heart on the left. She then started moving to the right side and got better visual. I was quite shocked, but she told me my heart could be shifted due to the pleural effusion. After almost two years of postponing the paperwork, I finally got my Advance Healthcare Directive and POLST (Provider Orders for Life-Sustaining Treatment) in place. 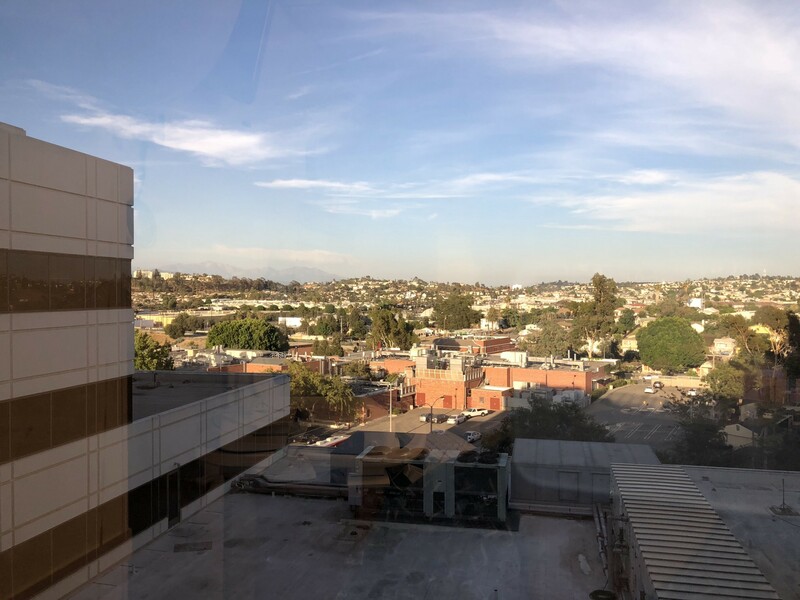 USC Keck provided free notary public service for their patients — which saved me a ton of time. I came into the hospital at 5am on July 19th, and the procedure started at 7.30am sharp. This is the third surgery in my life — and it’s the most painful one. I started feeling the pain the minute I gain my consciousness. I opened my eyes and didn’t see any familiar face. The nurse was very inconsiderate when she keeps chatting constantly with her colleagues rather than caring my well-being. I realized that I still in ICU and that’s why my family was not there. I gave me a sip of water after I asked her a few times and transfer me to my room. The first time I tried to get up to use the rest-room is the hardest. I thought I could die from the pain. However, my doctor said I should get up and start walking. I managed to get myself to the toilet with the help of two nurses — who are a lot nicer than the one in ICU. The next 72 hours post-surgery is the constant fights with the pain, I have to take Norco every 4–6 hours to manage the pains. My heart pressure constantly stayed at 90/60 or less. I managed to eat like normal yet the pain are just drive down my appetite. My doctor came to visit and told me the surgery went fine; however, my left lung was collapsed entirely, she has to create the scar between my lung and chest wall to stick them together mechanically. She also went ahead to place the tube inside my chest for the drainage. The total fluid they removed from my lung was about 2 litres. I quickly realized that I didn’t not just have 1 procedure, it’s a 3-in-1 thing and I’m glad that I gave my doctor the total decision making power because things have gotten way more complexed than we expected.